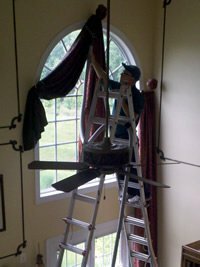 We offer a variety of residential and commercial services no matter how	big or small the job is. Whether it’s a stain on your antique armchair	or a big mess on a wall-to-wall carpet, consider it gone! If you don’t	find what you are looking for on the list of our services, feel free to	contact us and we might be able to accommodate you. Pet odor removal: we know how to handle pet odors both on and underneath	your carpet. We are familiar with all types of fabrics and materials in your home or	office and can clean them at the same time we clean your carpets or rugs,	or you can choose to make a separate appointment for upholstery and drapery	cleaning. 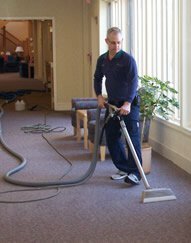 Some carpets in your home may have special needs beyond standard	carpet cleaning, and we can take care of them as well. As part of total carpet care, we also perform many types of repairs on	your wall-to-wall carpets, such as sectioning in a bonded insert, repairing	small holes, re-bonding old seams, as well as carpet re-stretching for	lumpy or wrinkled carpet. You value quality, and so do we, and we’ve got many satisfied customers	to prove it – just read their testimonials!